Attracting your target customer online is not as complicated as a lot of websites and gurus are making it out to be. I’ve actually found it very frustrating how much poor information is widely available and yet ineffective. 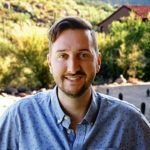 There are too many so-called experts on the internet that are out for a quick buck and an investment of your marketing dollars. They promise the world so you’ll become a client and then waste your time and money attempting to deliver on an inflated promise that is simply never going to get fulfilled. Rather than try to differentiate ourselves from the gurus and make that argument I’d prefer to get you some clients and customers today. So today’s blog is going to share with you the simplest and most direct way to attract target customers to your business using the internet. 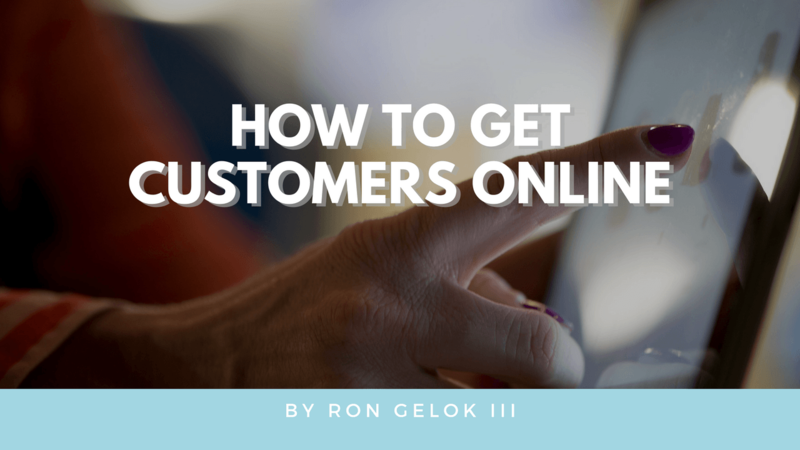 I’ll share a “How-To” video at the bottom of this post but first read through the blog as it sets you to understand how simple it is to get customers for your business. To attract your target customer online you must have four things in place. Audience – Aggregate the attention of a specific and measurable group of ideal customers. Product/Service – Something that genuinely solves the target audience’s problems; preferably in a way that under promises and over delivers. Engage – Your audience needs to have an easy way to engage and take your offer. Without this you could have the best products and services in the world but if no one knows about them or can take your offers you have done yourself and others a disservice. Excellent products and services are the standard for a Christian business owner. This means that what you do and offer under promises and over delivers in such a way that the Gospel shines through you work and the customer’s experience with you. There are a variety of ways to aggregate the attention of an audience. The first thing to do is to determine, where your audience is online. In other words, where do they hang out? Is it on amazon, Facebook, Instagram, topical or niche websites. Your irresistible marketing then needs to appear in front of those eyeballs. Are we going to do display that marketing message through search engines, social media, website advertising, or by other means? Pick a strategy. Your audience may have numerous problems and pain points that your business can provide solutions to. This means that you can create multiple marketing messages with corresponding offers and solutions. However, I want you to focus on only one offer right now. We have found that when people try to do too much at once, it is a recipe for overwhelm, paralysis by analysis, self sabotage, delay, or poor execution. Your offer is communicated in your marketing message. When crafting your marketing message you have to offer the benefit of your product or service. In other words not what your product necessarily is but the benefit of final outcome it provides. Looking for something fun to do with your family without breaking the bank? This marketing message appeals to the audience of families. Families are often on a budget and look for affordable things to do for everyone. This offer provides the solution of a finding an affordable fun experience. Once they are there, it is your business’s job to provide upsells like appetizers, drinks, and deserts. Make your offer clear, concise, and attractive. Just think where else could you share this marketing message to attract families to your restaurant? How else with this same message can you get customers online. This process is the same whether your business is a professional service, a product, retail store, food services, or your building a personal brand online. 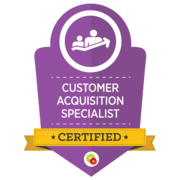 You can easily have us do this for you or we can train someone on your team to become a certified customer acquisition specialist and they can run promotions like this any time you want! Let’s continue this example and share how to create your first Facebook ad to attract customers. Your business must have a Facebook fan page for this strategy to work, not just a personal profile. Reason being is that Facebook only allows you to run ads if you have a Fanpage for yourself or your business. If you need help with that you may want to watch this other video first that walks you through how to create a Facebook Fanpage. The Facebook Ads Manager is a powerful platform that allows you to target your perfect target customer demographically, geographically, and even psychographically. You can completely customize who you want to market to and use the customization options to get customers online. This example is one way you can run a sales promotion directly to your target customer. We like to incorporate this along with other Facebook strategies to build more of a long term relationship with customers so our clients can experience repeat business. Remember, not all leads are going to buy immediately. In fact most of them don’t which is why we always recommend building an email list. Afterwards you can not only promote your products and services to the list but you can also upload your email contacts into certain social media sites and promote offers that way. This is where the “engage” part of the process comes in. You can engage with your leads/new audience via email or social media. We suggest using a combination of organic social media posts and paid advertisements. If you don’t want to do this stuff for yourself you can always have us do it for you or we can train one of your people.